Our family has grown over the years, so to meet the needs of our employees and customers we have started construction on a new facility. Located on Industrial Drive, just off of 4 Mile Road in Grayling Michigan, we are in the perfect spot to service the expanding wood products industry in Northern Michigan. Clearing is complete and excavation has begun, bringing in stone and other materials to finish the yard and start on the foundation. Our goal is to complete the new building by the end of 2018 in order to have the space necessary for our new trucks and trailers that are coming in now! Below is a timeline slideshow of our Grayling construction site. Check back often to view updates on our progress. The Tandem Family of Companies’ trucking operations dates back to the mid 1940’s and was originally called St. Louis Freight Lines. It wasn’t until 1981 when the “TANDEM” name was first introduced…….and it stuck. Over the years, there have been changes in equipment, operational locations, staff, and even ownership, but has been in the same "Family" hands now for nearly the last 50 years. Our “Family” friendly way of doing business and treating people is as ever present today as in the past. We have many employees that have been here for 20, 30, 40 years, with a couple people closing in on their 50th anniversary. In fact, we maintain an exceptionally low turn-over rate and incredibly high tenure with our employees. 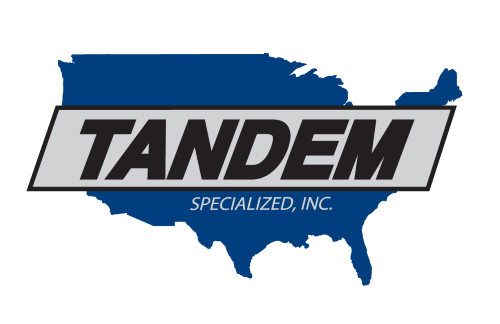 Currently, The Tandem Family of Companies includes our trucking operation (Tandem Specialized, Inc.) & our freight brokerage operation (Tandem Logistics, LLC). Our home office is located in St. Louis, Michigan and our operations terminal is in Gaylord, Michigan. We also maintain a sales/dispatch & brokerage office in Vanlue, Ohio and brokerage offices in Ringgold, Georgia & Michigan City, Indiana. Our staff is well trained, very experienced and willing to help you become a part of our Tandem Family of Companies.